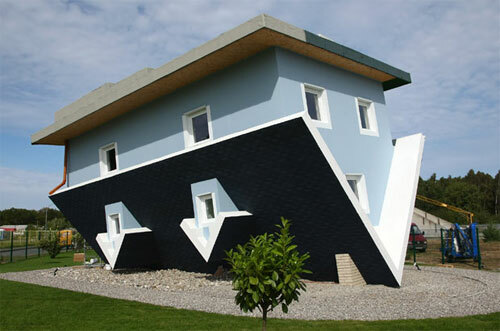 An installation of an upside down house in Trassenheide Germany was opened to the public two weeks ago and was designed by Polish partners Klaudiusz Golos and Sebastion Mikuciuk for the Edutainment exhibition company. People who have visited the house reported feeling dizzy and disorientated. An interesting alternative view of every day items and the designers did a great job with the interior. 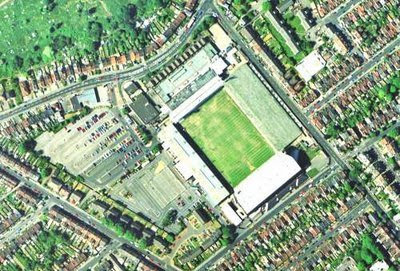 Similar buildings have been designed upside down before but only from the exterior. Here is a tip to make your own Rainbow. Fill a glass of water (almost to the top) and place it at the very edge of the counter in a dark kitchen. Place a sheet of plain white paper on the floor a few inches away from the counter. Put two pieces of masking tape over the front of a flashlight so that the light comes out of a slit about 1/8 inch (0.3 cm) wide. Shine this light across and down into the water as shown in the figure. 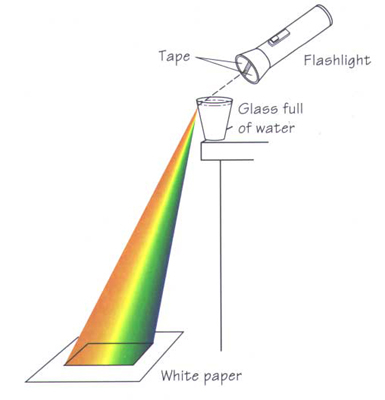 When a narrow beam of light is passed through a glass of water, a spectrum can be seen on a white sheet of paper. Can you see a small rainbow on the white paper? If not, move the flashlight around a little until you achieve the best results. Now that you know what to look for, you will begin to notice small rainbows wherever sunlight falls on water, glass, or plastic that has a tapered shape. 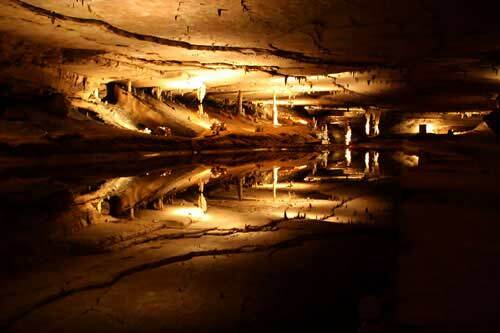 Look for rainbows produced by the beveled edge of a mirror or a chandelier. 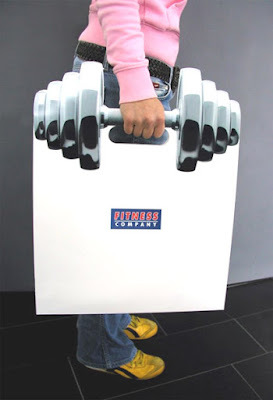 This is really a very creative and funny bag. This is a simple photo of impossible triangles formation. This impossible construction sure looks Escher inspired. You presume it’s two triangles trapped in an impossible way, but actually it’s only one continuous line if you follow it closely.